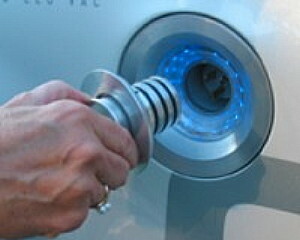 Imagine this scenario: what if different makes of automobiles had incompatible fuel ports, so that gas stations used different sizes and shapes of nozzles on their pumps to accommodate only their preferred vehicle? 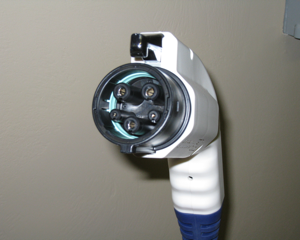 This is, in essence, one of the obstacles that has thwarted the widespread adoption of electric vehicles to date: different manufacturers of both EVs and their chargers have used incompatible plugs and receptacles. 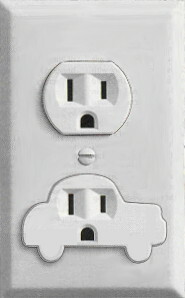 This lack of cooperation and teamwork has always been a problem with our species. 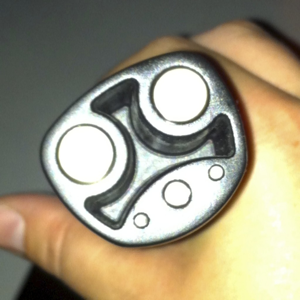 Think: VHS vs. 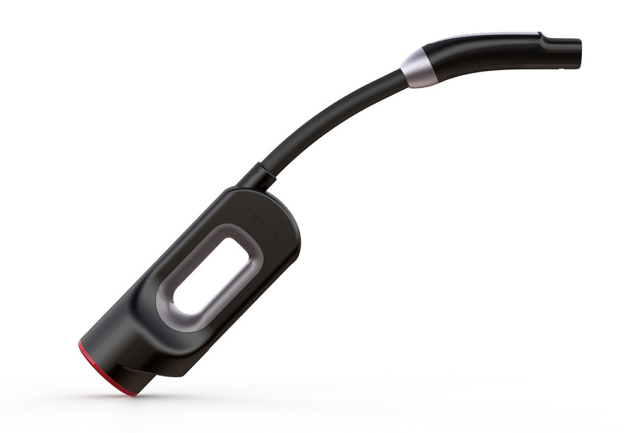 Beta, Mac vs. Windows, QWERTY vs. DVORAK, DVD vs. Blueray, left- vs. right-hand drive, inches vs. centimeters, firewire vs. USB... the list goes on and on. 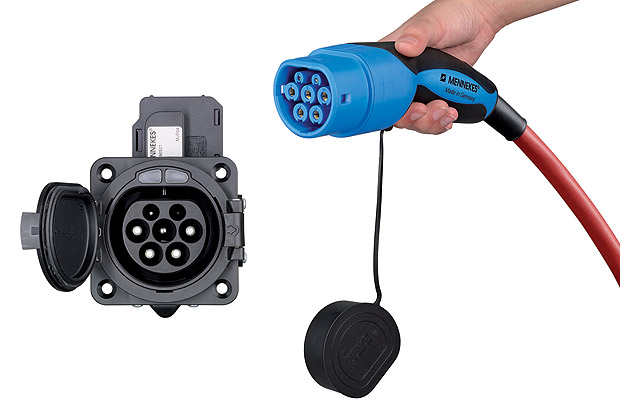 It is too soon to declare complete victory, but it does appear that "standards" for EV plugs and receptacles might emerge in the next few years. 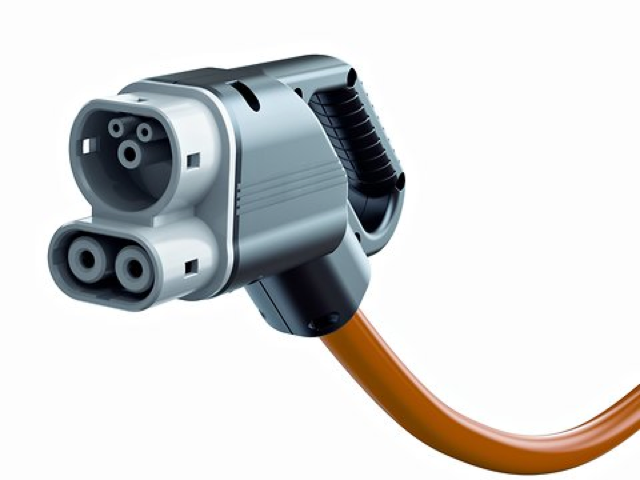 Below are the proposed alternatives. 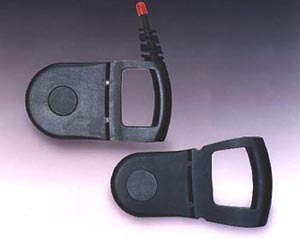 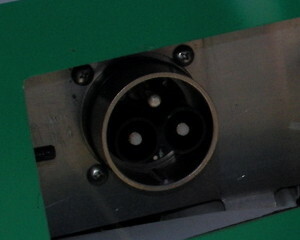 receptacle on the left and a J1772 receptacle on the right. 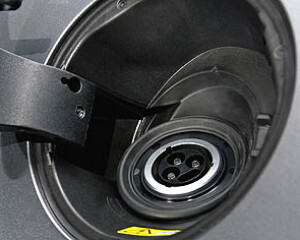 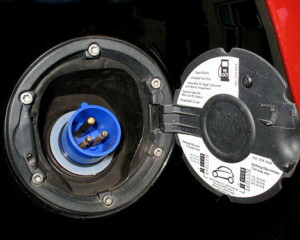 Here is the CHAdeMO fast-charge plug. 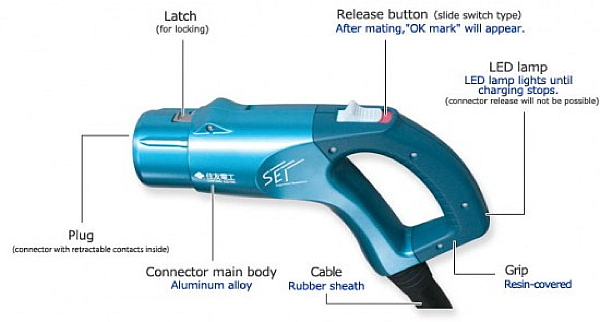 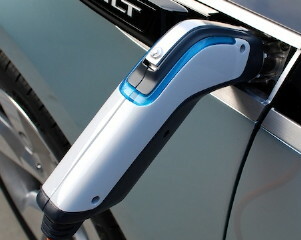 It is designed for use with 480V DC stations, capable of charging an EV’s battery pack to 80% in under 30 minutes. 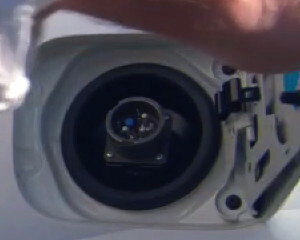 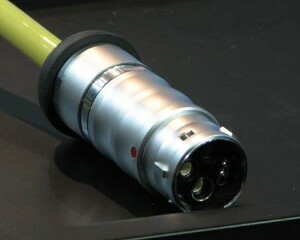 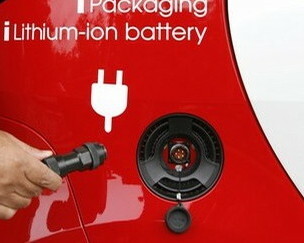 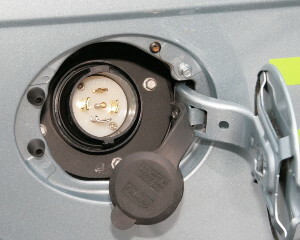 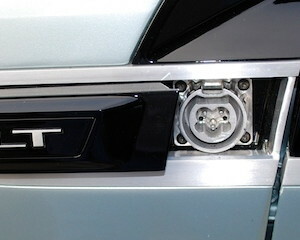 The Nissan Leaf and Mitsubishi “i” use these connections, even though the entire industry has not yet adopted them. 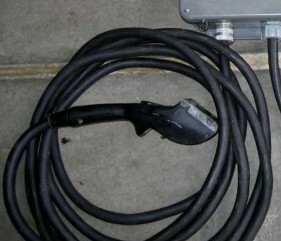 This is the J1772 plug. 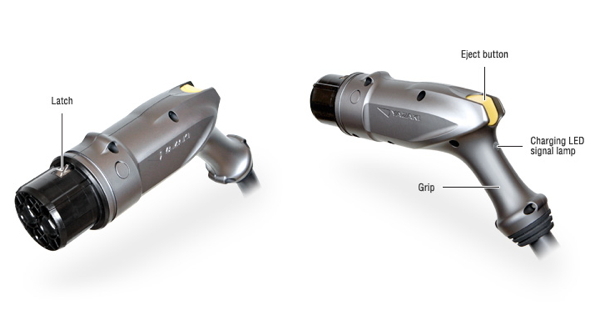 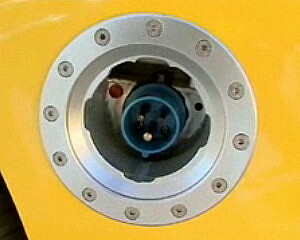 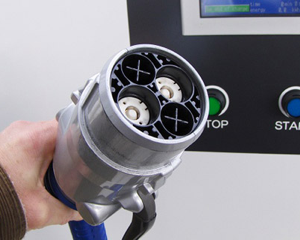 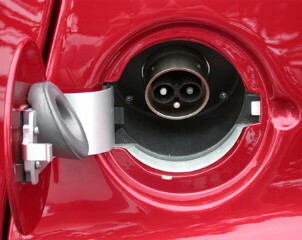 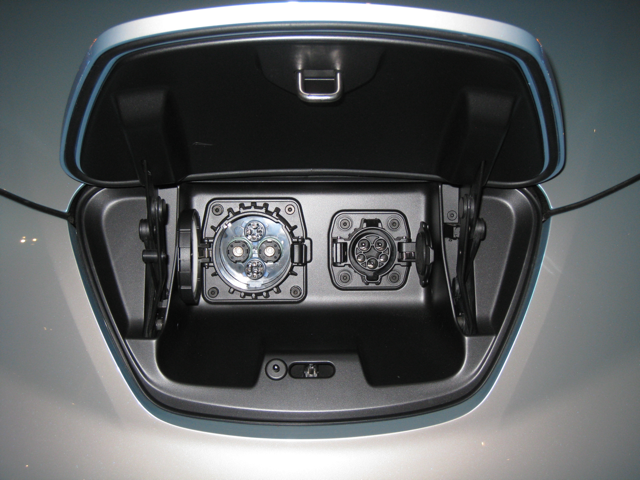 It is worth noting that Yazaki continues to improve the exterior design of its CHAdeMO plug, as illustrated here. 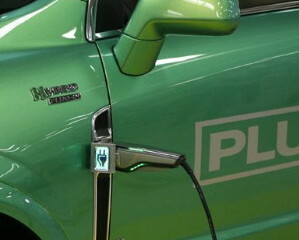 And Sumitomo is also working on a newer, sleeker variation of CHAdeMO. 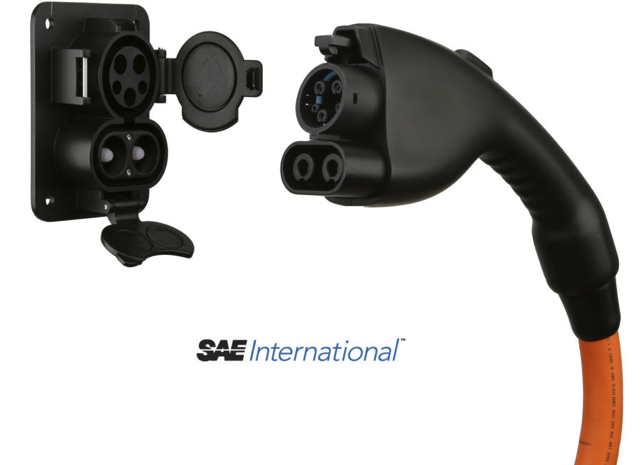 German engineers are apparently trying to emulate the SAE effort by proposing this design for all of Europe. 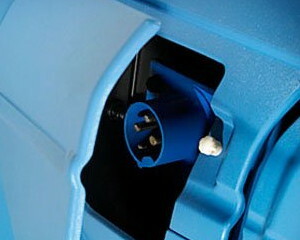 However, the top portion of the plug is not even compatible with the J1772 standard already established! 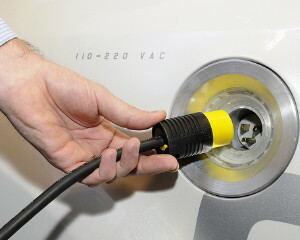 Instead, it appears to be a simplified variation on the German Mennekes design that the European Commission has inexplicably adopted as a “standard” for 240V charging rather than J1772. 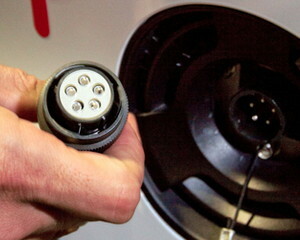 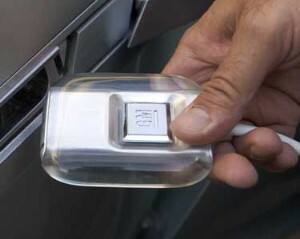 Curiously, Tesla Motors has decided not to wait around for whatever “standard” finally emerges, and has designed its own unique plug and receptacle for the Model S.
The simplicity of Tesla's plug is admirable, but obviously Model S owners will have to also buy adaptors to use J1772, CHAdeMO, and/or SAE public charging. 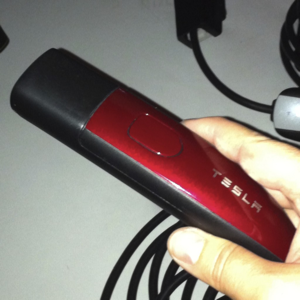 As a matter of fact, Tesla is currently beta testing a CHAdeMO adaptor that Model S owners could buy someday... for $450! 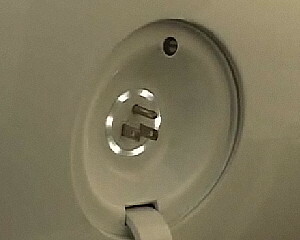 Evidently this adaptor will prove useful in Japan, where there are already nearly 2,000 such chargers. 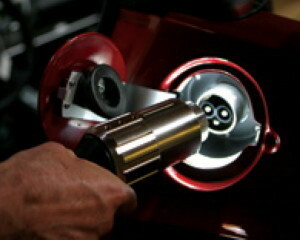 To date, I haven’t seen any indication that Tesla intends to also produce a FrankenPlug adaptor. 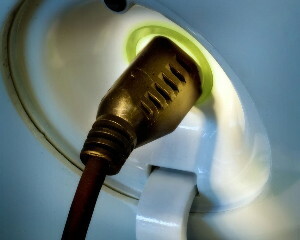 Now, to give you an idea of the vast array of incompatibilities that have been used up to this point, below are some plugs and connectors from years past.